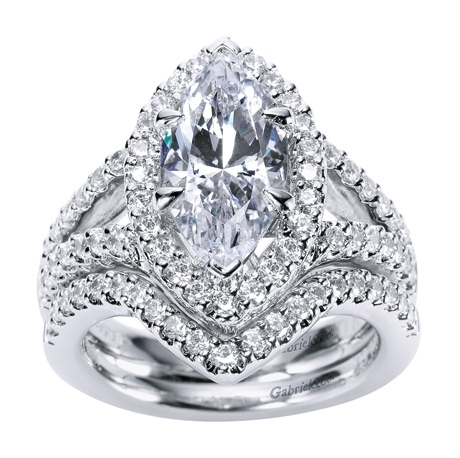 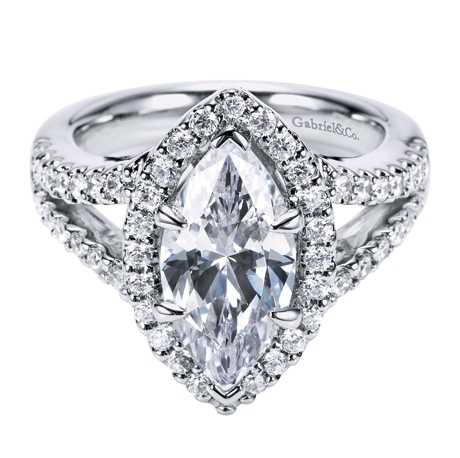 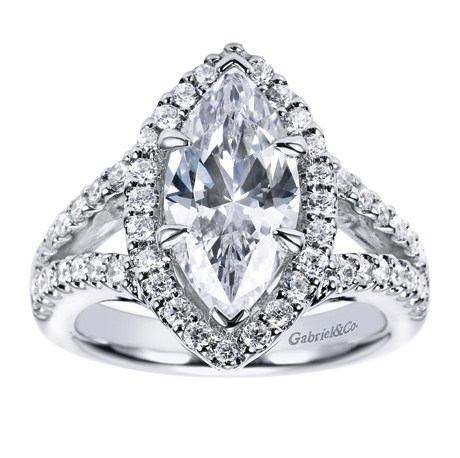 Halo's don't have to be round so give your loved one a nontraditional look on a traditional marquise stone. 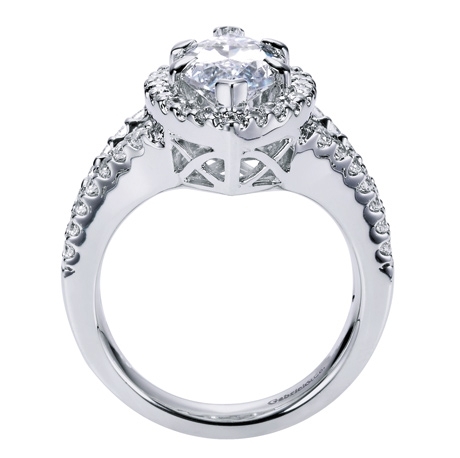 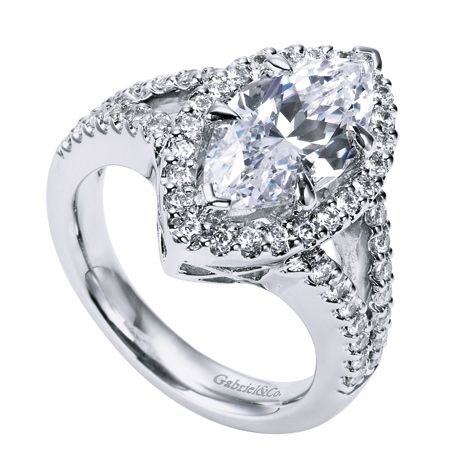 There are 52 round diamonds adorning this halo engagement ring. A marquise diamond is surrounded by 2/3 carats of round brilliant diamonds in this contemporary halo engagement ring with double bands of white gold or platinum, add a modern twist to a traidtional stone.